Robertson House is a thriving charity hub in the heart of Glasgow. 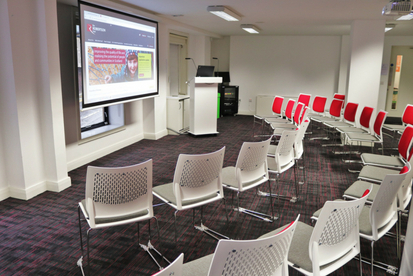 We moved into Robertson House Glasgow in 2013 with the aim of providing high quality, low-cost office space and meeting rooms. Today, we share our six-storey building with 25 charitable organisations of all sizes and welcome over 7,000 visitors each year. If you are interested in booking one of our nine meetings rooms, conference room or boardroom, all the information you need is below. 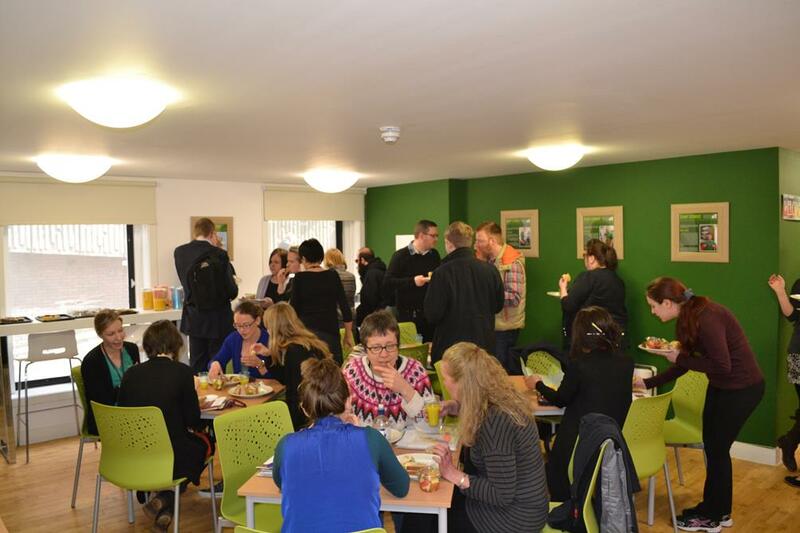 The Robertson House cafe continues to be a lively, informal space for those working in Scotland’s third sector to meet and network. Serving barista coffee, cold drinks and a range of fresh meals throughout the day, the café is a key component of Robertson House and has benefitted from a range of upgrades in recent months. As well as offering hospitality to our conference and meetings rooms, the cafe is also open for visitors to Robertson House to enjoy at their leisure. Office suites: We do not currently have any office suites available. To find out when one becomes available, please register your interest. Desk hire: We currently have 2 desks available for lease. If you are interested in leasing a desk, please contact us. Renting a desk space at Robertson House costs approximately £175 per month exc VAT. This comprises of a simple desk rental agreement (£110 per month exc VAT) and service charges (estimated at £65 per month, based on actual costs each quarter). Our service charges include: electricity, water usage, recycling service, office cleaning, building security, building insurance, broadband, Wi-Fi, desk furniture (one desk, one operator’s chair, one set of desk drawers), and a telephone handset with direct dial telephone number. Eight steps at front entrance, additional door intercom at pavement level to allow contact with reception.